In a sudden turn of events, the Indian Finance Minister Mr Arun Jaitley, declared Bitcoin and other Cryptocurrencies as Not Legal Tender. This declaration has sent in shockwaves across the cryptocurrency market. With the announcement of Jio Coin in January 2018, there was much anticipation, especially in the Asian Crypto market. At the Union Budget address held today, ( 1st February 2018) he shared his views in which he established that the government shall try its level best to eliminate all its use in financing illegal activities. This doesn’t necessarily mean they want to outright ban cryptocurrencies. This is a middle path to either bring under scanner all the crypto transactions or may be a ray of hope that with time, there may be more declarations in regards to cryptos. 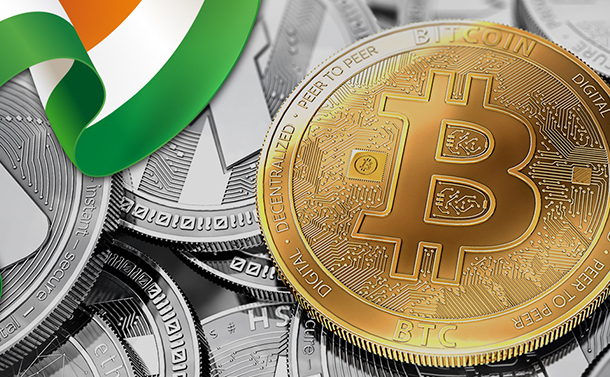 While this does seem neither here nor there for the state of Cryptocurrencies in India, they were more than happy to welcome with open arms and also utilise the technology on which cryptocurrencies trade. Blockchain Technology is already on the radar of many Indian government states. The newly created state Telangana and Andhra Pradesh have already lead the charge to implement Blockchain Technology in its everyday operations. Hyderabad, the capital of the two states is home to many technological Hackathons and soon to host Blockathons. The Dawn of the New age Crypto Market. While the air of FUD is ripe, it does bring under scanner the impact it shall have on the Asian Crypto market. No one can deny the impact Ripple, Tron, Neo and tentatively the mere announcement of Jio Coin makes in the cryptocurrency world. As Asia battles its individual governments red tapes, new age traders are reaping the benefits. These new coins when compared to Bitcoin, off them shorter transaction times and also do not make them spend a mini fortune as transaction fees. They are the new age, pocket friendly option for traders, investors and even for those who want to mine cryptocurrency. While there is much speculation in regards to South Korea’s stance on cryptos, it is exchanges like BitFlyer that keep hopes high. The amount of investment that has been generated in terms of cryptos by these 3 countries put together is much more than the total amount that is invested in Bitcoin. The Asian market has become the big players in this field. After China’s ban on centralized cryptocurrency exchanges, the entire circuit of investors have become even more resilient in their efforts on crypto trading. Announcements such as those made by the Indian government may put a damper on the achievements that the Asian market has undertaken by skirting red tape and still coming on top. We can hope that with time, the governments can change their stance and open doors for trading in cryptocurrencies like the governments of Canada and Estonia amongst others.